Although his native city features in all his writing, the relationship between the two was not easy. 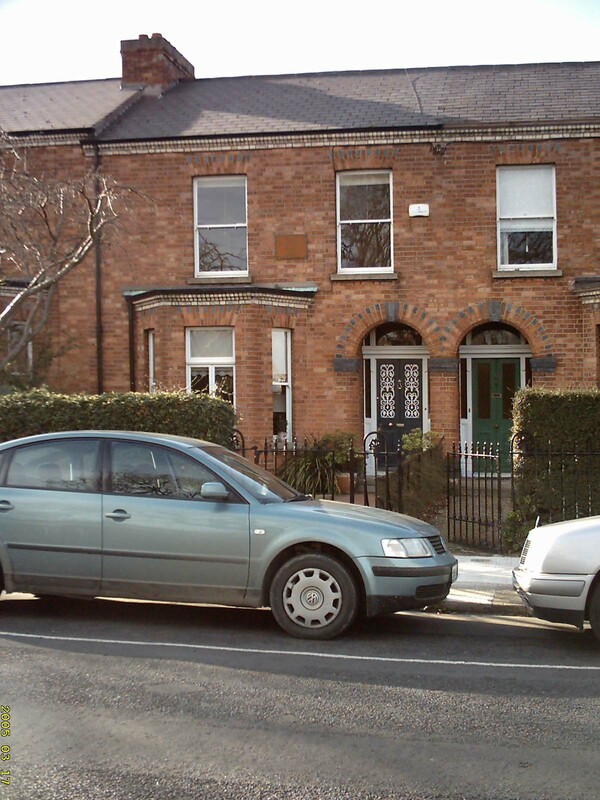 Joyce left Dublin when he was twenty-two years old and only returned for a few short visits. He lived in Trieste, Paris and died in Switzerland in 1941, aged fifty-nine, recognised as one of the major writers of the twentieth century. His influence on Modern writing is undeniable, and his native city is at the centre of his work. He was born on 2nd February 1882 in 41, Brighton Square, Rathgar, which at the time was a recently laid out middle-class suburb. Joyce was the eldest of ten siblings born to John Stanislaus Joyce and Mary Jane Murray from whom he inherited his musical love and good voice, as she was an accomplished pianist. His father frittered away his inheritance on different business ventures, and over the years the family sank into poverty making many late night departures from one house to another. The nomadic life was something Joyce understood, and during the years on the Continent moving house happened often. Joyce found the conservative religious atmosphere and the changing political landscape in Ireland too oppressive for creative thinking, and left for Paris. 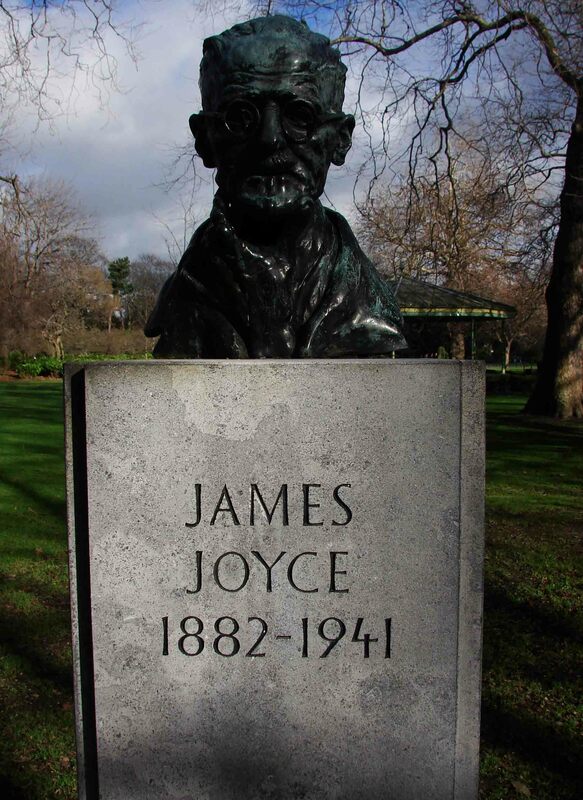 In this most cosmopolitan city, a place of tolerance in all areas, Joyce could grow as a writer and human being and encounter ‘the reality of experience’. It was the environment he needed, and even though his financial position did not noticeably improve, the freedom to think and write was paramount. It is interesting that Joyce, although ‘exiled’ from the city that he disliked for its shortcomings and conservative mindset, still chose to use it as the canvas on which he wrote. From his earliest work Dubliners (1914), the hugely popular collection of short stories to his most famous works, Ulysses (1922) and Finnegans Wake (1939), the city is a ’character’ in its own right, adding to the colour, sound and feel of the stories. He said that if the city was destroyed it could be rebuilt, brick by brick, using Ulysses as a model. He may, indeed, have left Dublin but it certainly never left him. 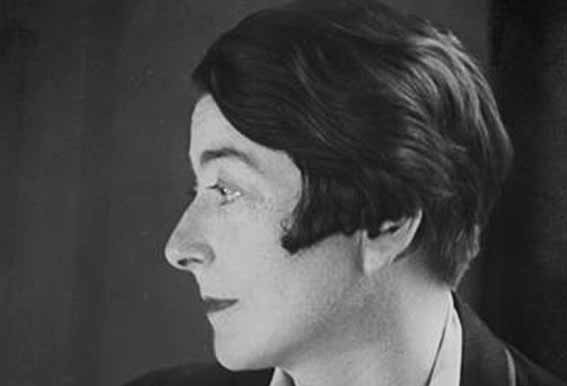 Iconic is not a description that Eileen Gray would have been comfortable with, but with her success as a designer, creator of some of the 20th century’s most admired and sought-after works and her continued artistic influence, it is certainly justified. The (permanent) exhibition that I visited recently in the National Museum of Ireland – Decorative Arts & History, Collins Barracks, is both interesting and fun – not unlike many of Gray’s clever designs. Gray was born near Enniscorthy, Wexford on 9th August 1878 the youngest of five siblings. Her father, James, was a painter and he was the first to encourage her artistic interests. When she was 20 she travelled to London and studied at the Slade School of Fine Art. While in London she became interested in lacquer and worked in for a time in an art shop in Soho learning the skills. Later, in Paris, she met Japanese expert Seizo Sugawara and she first exhibited her work in 1913 to critical success. She returned to Paris after WWI having spent those traumatic years in London. A commission to decorate the apartment of Madame Mathieu Levy was completed in 1921 and brought immediate critical acclaim and financial independence. Gray had designed most of the furniture, lamps, carpets and also installed some of her famous lacquered panels. 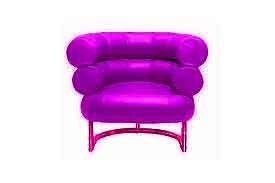 However, it was the inclusion of the Bibendum Chair for which this project is best remembered. Named after the Michelin character that advertised their tyres, the chair has become one of the most recognisable furniture designs. She was the first designer to use chrome, years before such acclaimed designers as Le Corbusier, Mies Van der Rohe and Marcel Breuer. Another furniture piece, her famous Dragon Chair made between 1917-1919, was acquired by Yves Saint Laurent 1973 when Gray’s work was becoming popular yet again. This piece was sold by Christie’s in February 2009 for $28m making, it the most expensive piece of 20th century art! 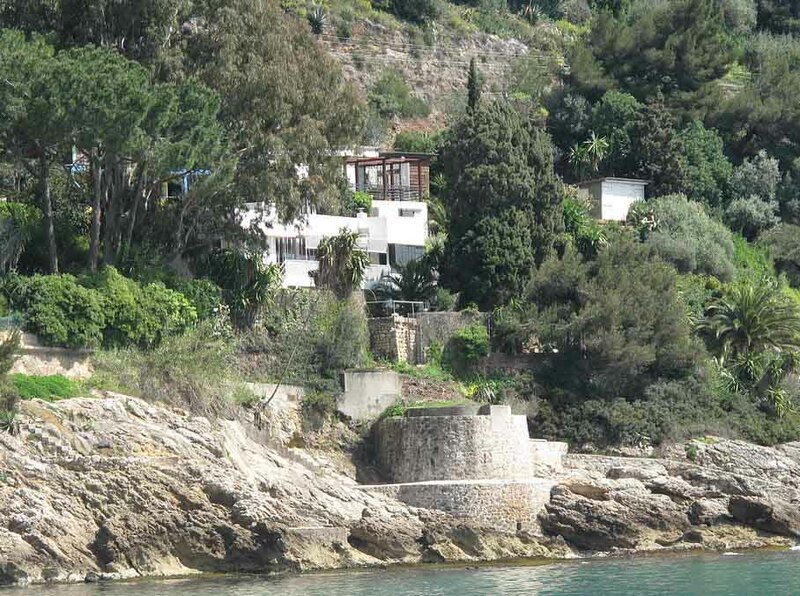 In the 1920s she designed E1027 house in Roquebrune on the Cote d’Azur, France. The unique name is decoded as follows: E = Eileen, 10 = Jean (J is the 10th letter of the alphabet), 2 = Badovici and 7 = Gray. She designed the furniture while collaborating with Jean Badovici on structural aspects. 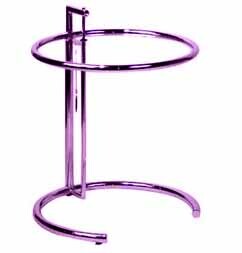 Her circular glass, table E-1027, was inspired by the Bauhaus design movement. 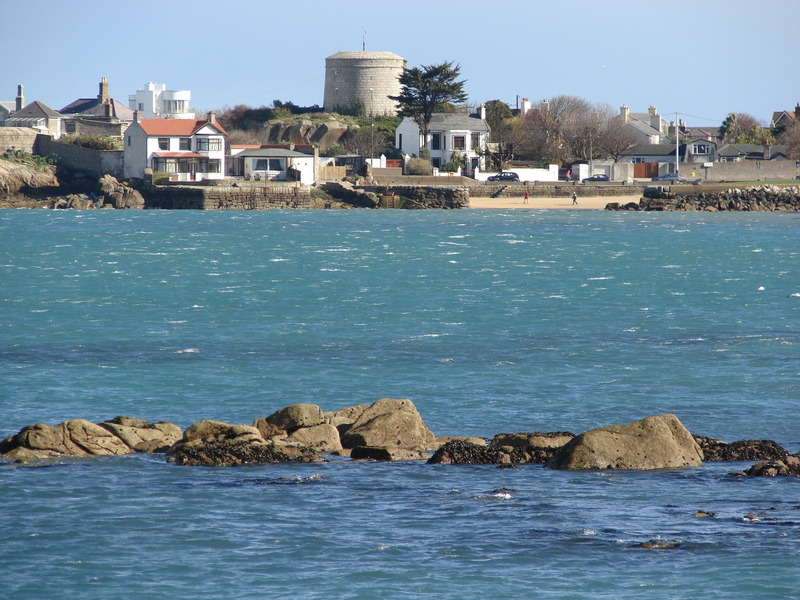 Although well-known in France it is only in more recent years that Gray has been re-discovered in Ireland. In 1973 she was presented with an honorary fellowship by the Royal Institute of Architects of Ireland and the citation noted ‘…she was probably the sole representative from Ireland wholly immersed as an outstanding exponent in the pioneering work of the modern movement.’ A TV documentary, a new novel The Interview (by Patricia O’Reilly) and the issue by An Post of a stamp (in August 2015) are going a long way to correct that position. It’s the least an icon deserves.